Almost every state mandates Personal Automobile Coverages. Most drivers are familiar with basic liability coverage. Liability coverage on a personal auto policy protects for personal finances if you injure someone or damage their property. In Georgia, the minimum legal limit allowed is 25/50/25. That is $25K per person on bodily injury, with $50K max per occurrence and $25K max on physical damage. This coverage would only pay for the other driver’s vehicle in the event of an at-fault accident. Other coverages available are Collision Coverage which covers damages to your vehicle if involved in an at-fault accident. Comprehensive or Other-Than-Collision is coverage for damages caused by other events. Full Glass is usually an option available for purchase that waives the comprehensive deductible for window repair or replacement. Uninsured Motorists/Underinsured Motorists coverages pay for damages caused by hit-and-run events or if an accident is caused by a driver without proper coverage or in some cases, no coverage at all. It is illegal in Georgia to drive without liability coverage, but it does happen. Roadside/Towing is coverage for when your vehicle is disabled and will pay or reimburse you for expenses that occur from such an event. Additional Expense is coverage that reimburses you for the cost of your rental in your insured vehicle is being repaired or out of commission due to an accident. 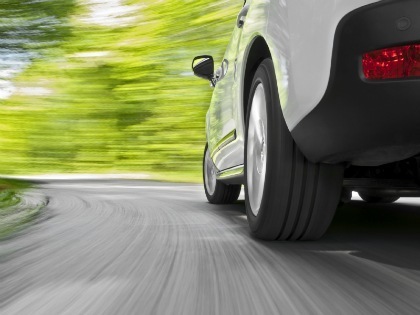 Most companies require that you have Comp and Collision in order to purchase this coverage. Loan/Lease Gap is coverage that covers the depreciation of you vehicle’s value over time. If you still make payments on a vehicle that declared a total loss, you could end of owing more to your bank or finance company than your vehicle is worth. In some cases, this coverage is included by your dealer with the purchase of a new vehicle. Carriers that provide personal auto insurance offer each of these coverages as well as some additional coverage that you may decide to purchase. Some carriers offer policies specifically rated for Motorcycles. Also, some offer endorsements to include motorcycle coverages on your personal automobile policy. Please call one of our agents today to discuss coverage options available.